Guardian Families provide a home from home environment for students from overseas. They are all volunteers who have full time careers or are retired and are seeking fulfilment from a role which offers the opportunity to provide support to a child from abroad. These families have an understanding of how it must feel to be a long way from home, in a country where you cannot communicate in your native language. They are compassionate and caring whilst remaining respectful of other cultures. They provide a safe environment for the student to stay during holidays, offering academic support where required and are always there to listen should the student need to voice any concerns. Guardians are given 24 hour support from The Guardian Family Network should they need to raise an issue regarding the welfare of the student. 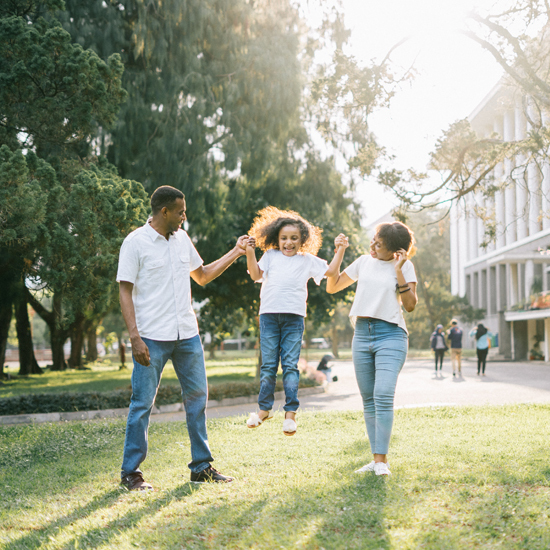 Most families remain in contact with the student and their families long after guardianship has terminated and the student has returned to their own country to continue their career or commence their career back home. Visits are carried out by members of staff and extensive checks are completed to ensure that prospective guardians are suitable for the role. Guardians and students are closely matched to ensure that a good fit is achieved and that both parties are happy with the set up. A trial is carried out prior to guardianship being confirmed to ensure that both the student and guardian family are happy with the arrangement. What does the role of guardian family entail? Provide a bedroom within your caring home for the child at exeat weekends and half terms. Schools usually have one exeat weekend each side of half term, so during each term, this usually amounts to two weekends and a week during half term. Sometimes an overnight stay is required at the start or end of term, where flight times do not fit with school term dates. Acting as the key contact with the Houseparents and tutor, to make sure the child is making good progress at school, discuss and resolve any issues and to confirm arrangements when exeat weekends and half terms are approaching. Being there quickly if an emergency situation arises such as accident, illness, suspension or an incident which requires the school to close temporarily. Attending school parents’ evenings and reporting back to the parents or The Guardian Family Network staff team on progress. Communicating successes and concerns to or The Guardian Family Network staff team or the child’s parents back home. Communication and being well-organised is a vital element of acting as a guardian family. The experienced staff team at the Guardian Family Network will be on hand to offer you support and guidance should you have any worries or concerns while the child is in your care. We can also assist you if there are any teething problems while the child is settling in, or further down the line if things are not as you expected. You will also be in regular communication with the Houseparents and tutor at the boarding school, The Guardian Family Network staff team and the child’s parents or their representative, if the parents do not speak English. An ability to respond promptly to telephone calls and email is vital and having access to Skype is a useful way for the child to keep in touch with home. I am impressed with the level of support. This is my first time and I have lots of questions! I found the staff to be helpful and I liked the actual telephone conversations as opposed the-one-dimensional-emails, as they were more personal offering me tips and guidance and I felt part of the Guardian Family Network ‘family. Do you love spending time with children and have room in your home to offer care and support to an international student at a UK boarding school? Imagine if your child were attending a boarding school many miles from home and the reassurance you would gain from having a local family to support them and keep you regularly informed on how they are getting on? Friendly, supportive and reliable British families who care for international children at uk boarding schools. For your own children to make new friends and to learn about other countries and cultural understanding. To fill the ‘empty nest’ when your own children have perhaps gone off to university or left home. To become involved in the school life of a young person, supporting them through attendance at school matches, concerts, parents’ evenings. To build lasting friendships with international families overseas. To put your spare bedroom to good use. Complete and return the application form, you can either return the form by scanning it and emailing it to office@guardianfamily.co.uk OR you can also post your completed form to Siobhan Skaife at the following address. The details on your form help us to match you up with a potential child and to tell their family overseas about you. This form also requests contact details of two referees who know you well enough to vouch for your ability to care for children. We will also ask all family members who live at home and are over 18 to complete a CRB form, so we can carry out an enhanced background check. We will contact you by phone to discuss the role in more detail, answer any questions you may have and to tell you a little more information about the children for whom we are currently seeking guardian families. If we have a child who you are keen to meet, we will arrange for one of our staff team to come and meet you in your home. During the visit we will ask to see the bedroom where the child will be staying and for a tour of your home. We will also spend some time with you getting to know you a bit better and will be able to discuss the child for whom we are seeking a guardian in a bit more detail. Following the visit, we will ask you if you are happy to proceed to the next step. We send a report about you and your family to the child’s family back home, asking if they are happy to proceed to the next step. If you and the child’s parents are happy to proceed, we will arrange for the child to come and have a trial stay with you. This might be for an exeat weekend or for a half term. This is your opportunity to meet the child and see if you feel they will settle in your family. It is also the chance for the child to meet you and see if they feel happy to stay with you long-term.There is no long-term commitment or obligation at this stage. Following the trial visit, we seek feedback from all parties and if everyone is happy to proceed, we then confirm you as the child’s guardian. We will inform the school and send you a float to cover anticipated expenses for the forthcoming term, as well as asking you to confirm your availability for forthcoming exeats, half term holidays and airport runs.